Port Ludlow is a small community of 2,600 people in Jefferson County, Washington. It is located in the northeastern corner of the Olympic Peninsula on the Puget Sound, north of the Olympic National Forest and south of the Strait of Juan de Fuca. Port Ludlow is the closest town to the Hood Canal Bridge which connects the Olympic and Kitsap Peninsulas. This is a very small town in a rural, remote section of the state. The closest city is Port Townsend; other small communities nearby are Port Hadlock-Irondale, Marrowstone and Indian Islands, Quilcene, and Chimacum. 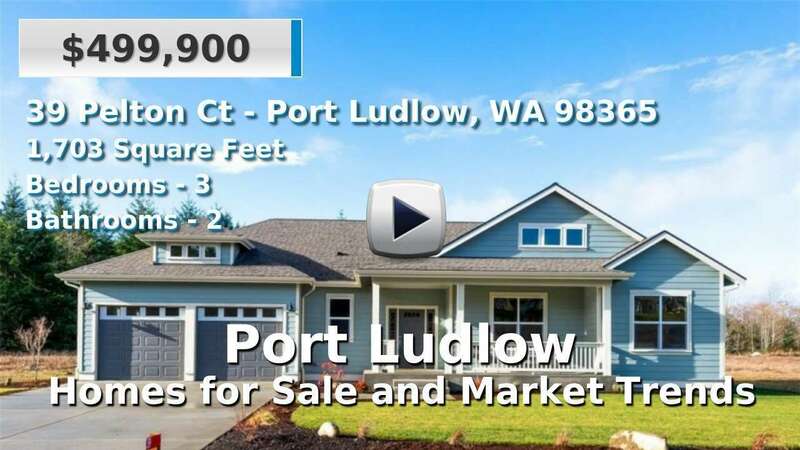 Homes for sale in Port Ludlow range from well-established to new construction, giving home buyers a great variety. Residents of this small town enjoy spectacular views of the Sound and convenient access to the marina. An average commute here is about 34 minutes. 2 Beds | 1.75 Baths | 2872 sq. Ft.
2 Beds | 1.5 Baths | 1505 sq. Ft.
2 Beds | 1 Baths | 658 sq. Ft.